What's holding you back - limited beliefs? What’s holding you back – do you have a limiting belief? Have you ever stopped yourself from doing something? – I guess we all have at some point if we’re honest. Imagine what you could have achieved if you’d gone for it … are there times when you look back and wonder how things might have been had you not stopped yourself? There are many reasons why you might have stopped yourself – fear is a common one (being scared of the unknown, worrying about what might be, what if it goes wrong, what if I can’t do it etc). The job interview is a classic example (‘I didn’t apply because ‘I don’t think I’m good enough’) -I remember reading once that men generally apply for a job when they’ve got in the region of 70% of the requirements, but many women won’t apply unless they can satisfy 100% of the requirements (if one of your New Year’s resolutions was to change career/job – it’s worth remembering this). With valentines day fast approaching, another example might be that you held back from asking someone you like out on a date. Maybe something is stopping you from taking the step from being employed to being self-employed. 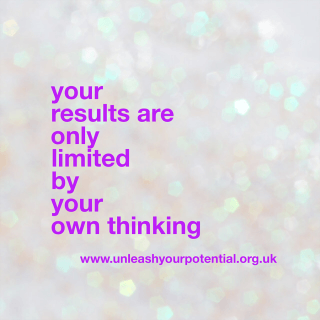 What if you could change your thinking – if it’s a limiting belief that is holding you back, we can change these with NLP. It can be useful to be able to do this in any context – from education, to coaching, health and fitness, in business, in sport, for personal development or therapy – changing your thinking, changes your results. A belief is something that you believe to be true or exist (not necessarily based on proof or anything concrete) – therefore they are based on your view of the world (in NLP we talk about the 4 themes of NLP and one of these is that your beliefs not being true – but you act as if they are and consequently they become true). Remember Henry Ford’s saying – whether to think you can or think you can’t – you’re right! A limiting belief is a belief that you hold about yourself all of the time, that limits you or stops you doing things/reaching your potential. Examples of beliefs that limit you include “I’m not good enough”, “I can’t …..” or “I don’t believe in myself”. How do we remove limiting beliefs and install empowering beliefs in NLP? In NLP we use what we call a submodalities belief change (if you’ve not heard me talk about submodalities before – check out this previous blog). It’s a process whereby we negate the old belief and install a new empowering belief – a belief that you hold with absolute certainty. We teach students how to do this on our NLP Practitioner course. It’s one of the fastest ways to change a belief – and will make a huge difference. What can I do right now – act ‘as if’? Would you like to learn how to do this properly? We are currently running NLP courses in South Wales & London. If you’re curious about NLP you should check out the NLP Business Diploma which will introduce you to NLP and cover some of the basic NLP skills. 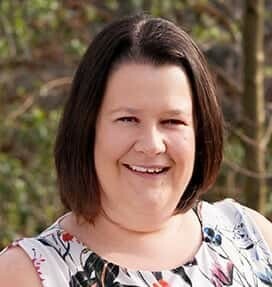 If you’d like to learn how to do the Belief Change and other equally transformational techniques, then you’ll need to book onto the NLP Practitioner course where we’ll teach you step by step how to do them. 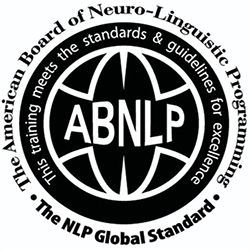 All our public courses are published on our NLP course schedule page.